Item # 310424 Stash Points: 3,195 (?) This is the number of points you get in The Zumiez Stash for purchasing this item. Stash points are redeemable for exclusive rewards only available to Zumiez Stash members. To redeem your points check out the rewards catalog on thestash.zumiez.com. 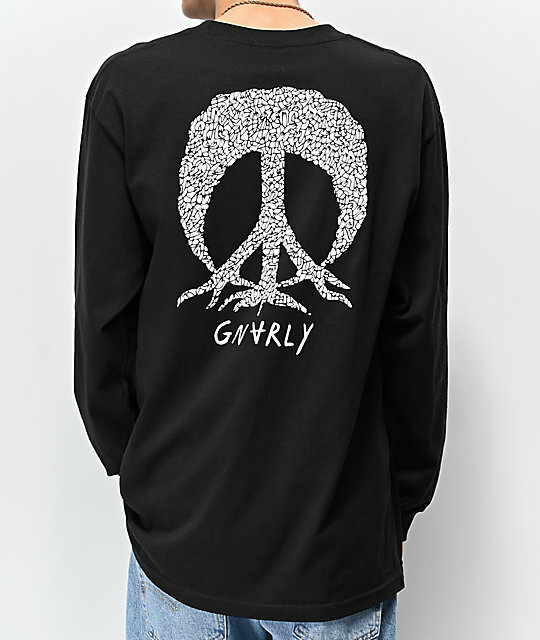 Update your closet with the Lucas Peace Tree Black Long Sleeve T-Shirt from Gnarly. Made with a tagless neckline and pure cotton construction, this long sleeve tee offers plenty of comfort for daily wear. 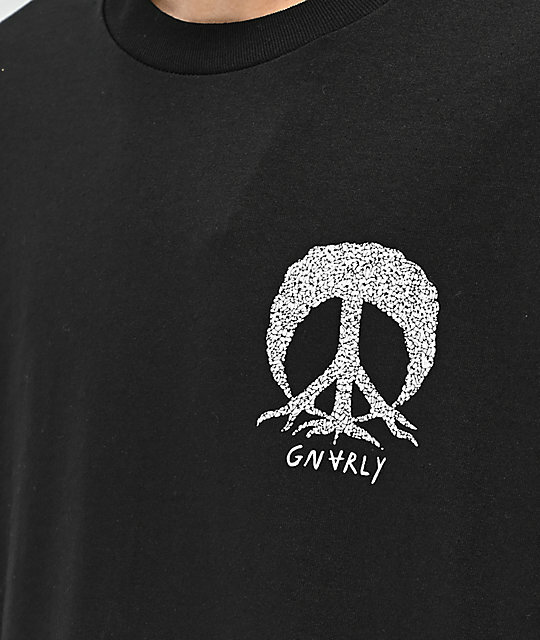 Complete with Gnarly's Peace Tree logo at the left chest and larger at the back, this crew neck tee is the perfect addition to your casual looks. 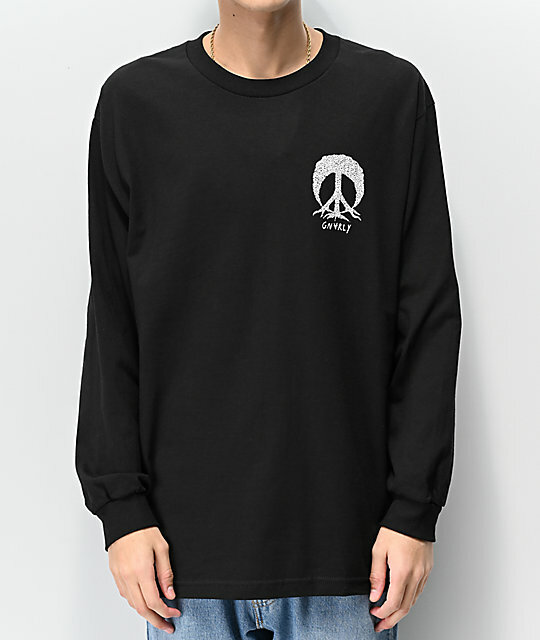 Lucas Peace Tree Black Long Sleeve T-Shirt from Gnarly.